Preparation is well underway for St. Aidan's Parish Mission, a special event in the life of our community. 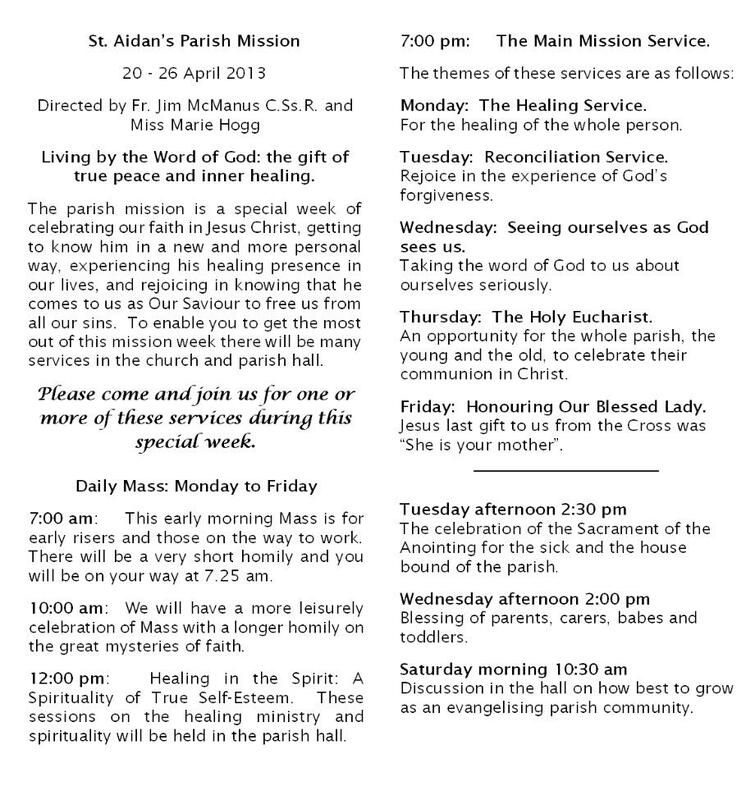 This special week of Masses and events with the central theme of true peace and inner healing. We would like to welcome all to our parish both during the mission week and at all other times.